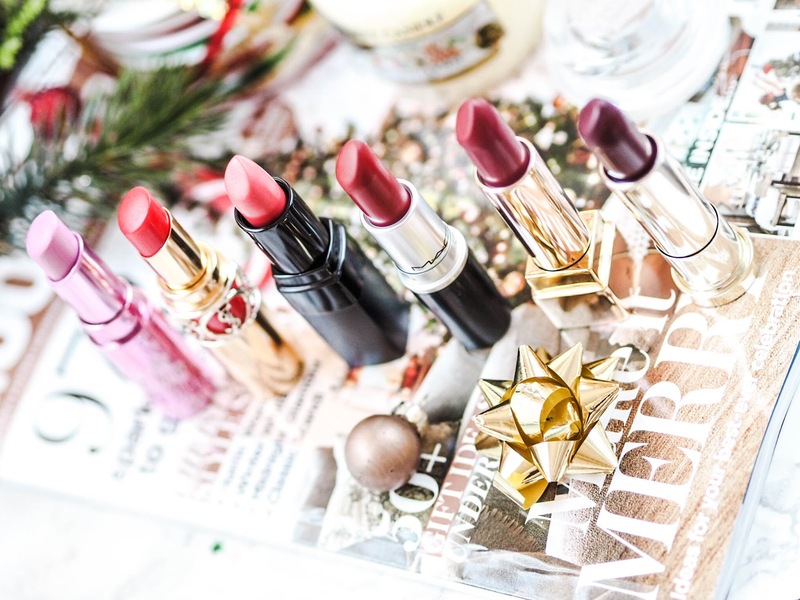 Why is it always Christmas time when I want to break out all the lip colours known to man? 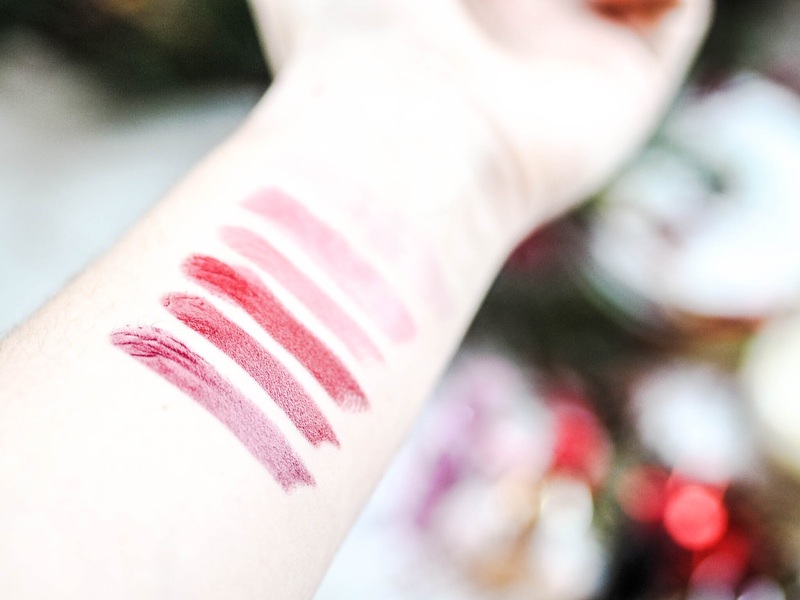 I swear, all the reds and pinks be mine this December. So I thought Blogmas would be the perfect opportunity to showcase some of my favourite shades, some conventional, some not. Well, it's Christmas, everything goes! 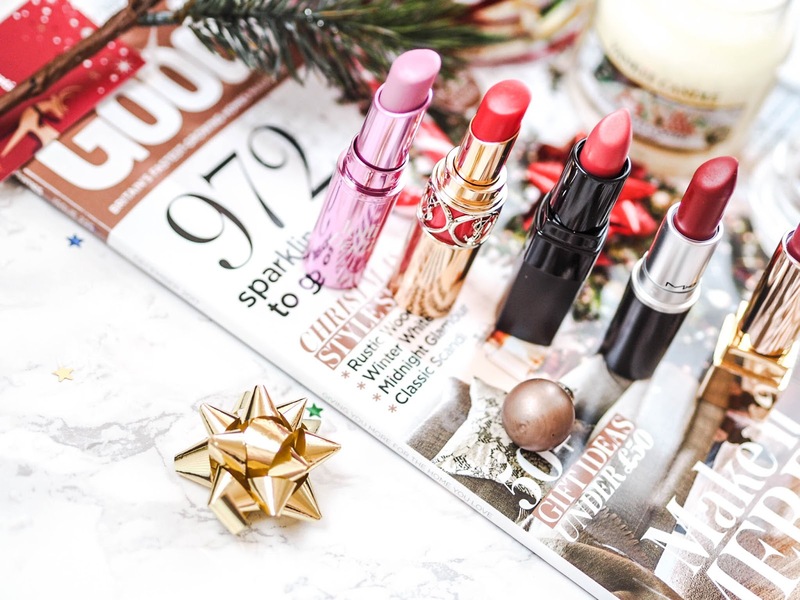 This lipstick was first featured here and it is still going strong as part of my more festive, winter lip shades. A classic, and featured in my December Favourites. This is quite a pinky shade but the shade and even the packaging just screams festive. You can read my full review here. Another pinky shade that deserves pride of place on my December lipstick list of choice. You can also get it for a discounted price. See my recent blog post featuring Fragrance Direct. If you want something subtle and sheer to wear during the day, I love these tinted lip balms from Benefit. They aren't the most moisturising, and you have to apply quite frequently, but the shades available are beautiful. 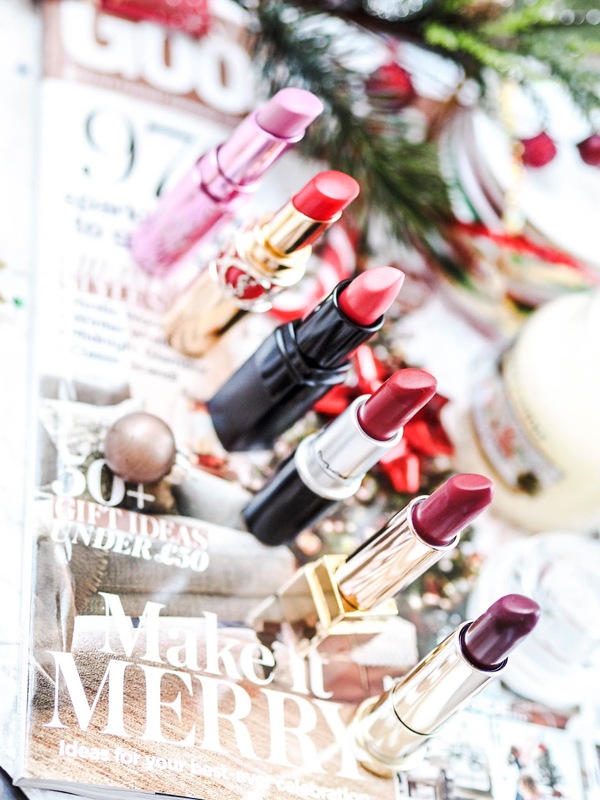 What are your favourite festive shades?